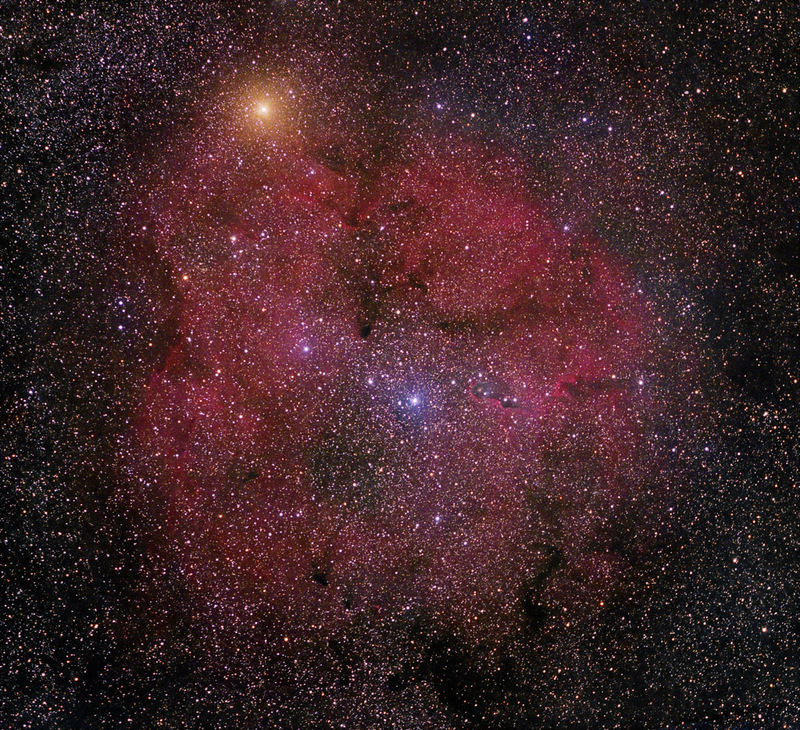 IC 1396 is a large dusty emission nebula, ionized by the brightest blue star (HD 206267) at center. The snake-like formation on its right flank is VDB 142. The prominent star at top is Mu Cephei, which was named the Garnet Star by William Herschel. It is an M2 bright supergiant with a diameter larger than that of Jupiter's orbit. Mu is one of the most luminous stars in the Galaxy, emitting 350,000 times the power of our Sun.